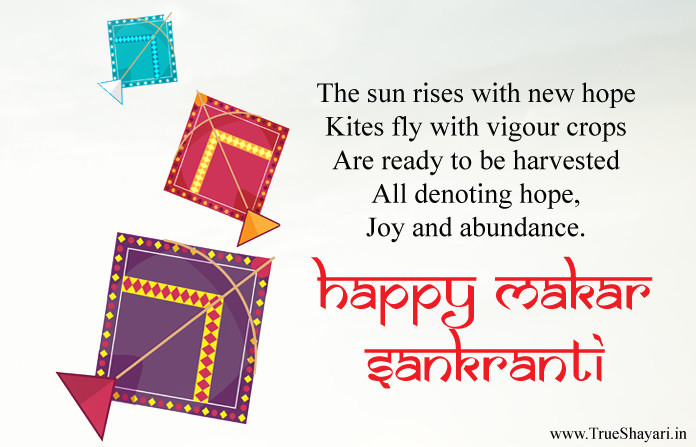 Makar Sankranti is celebrated all over India as the festival that bids farewell to the winter season. From this day onwards the wrath of winter season starts to diminish. This year in 2019 Makar Sankranti will be held on January 14 2019. This is also known as the festival of harvest and is strongly celebrated in various parts of India. However there are different names to it as mage Sankranti, Magh Bihu, Zakarian Pongal or the maghi in Sikhism. This festival is known as Pongal in Tamil Nadu, Bihu in Assam, pedda pagoda in Andra Pradesh and Magh mela in parts of north and central India. Generally the maker sankranti falls on every 14th January but sometimes it may be shifted by a day or two and which is very rare. The festival is marked by colourful decorations, bon fires, melas, kite flying and feasts. Children usually love this festival as they go from one house to another, and ask for treats. 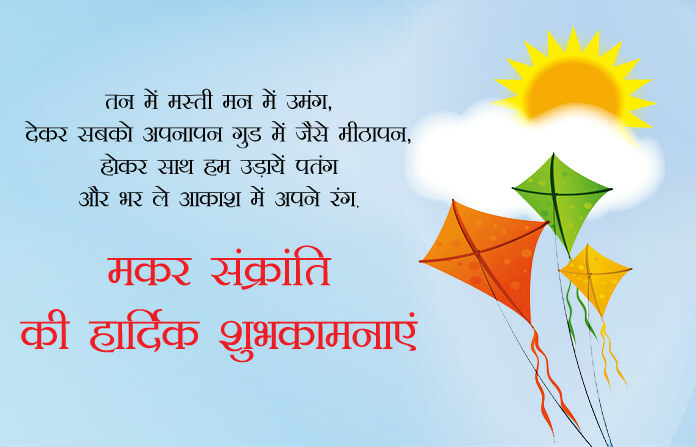 We are sharing lots of makar sankranti quotes, wishes in English, sankranti shayari in Hindi language with kite sms. Sunao wo mara wo kata. Wishes for you with love. Have lots of grains to earn profits. Patang sang ud jane do dil. Aap ko hamari taraf se Happy Sankrant.